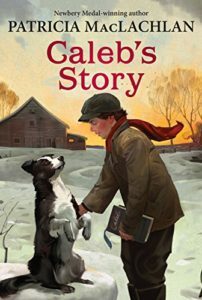 We’ve got another post from Gladys Hunt for you today about a series beloved to many. For the other posts in this series, please check out The Hive for a complete list to date. The nine-to-twelve year old readers are getting heavy-duty reading lists from librarians across the country. Sometimes I think librarians have forgotten that nine years is different than twelve years and to include this age span in a reading list may be stretching things a bit. Whether it is television or the movies that urges children to read beyond their maturity is worth discussion, but parents need to be aware that librarians are pushing on the edge of more-mature. I don’t know that children who read from these lists will end up with marred psyches, but I do know that while they are reading these books, they are probably missing the good stuff written for their age –books that more nearly match what they need for their lives. People who write and sell books have noticed the interest of young adults in scary stuff like werewolves and are now marketing what I call “heavier” or “darker” content for ages 9-12. This is just a warning. 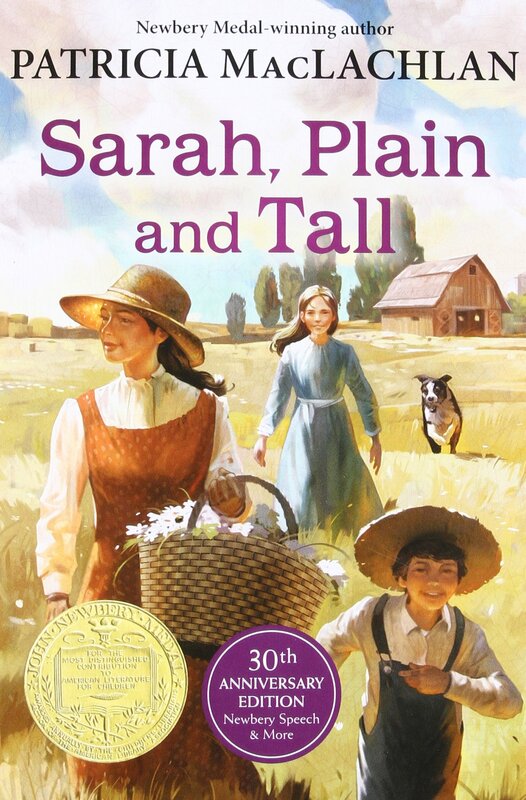 I’m writing about it now because I just finished the last book in the series about the Witting family that Patricia MacLachlan began when she first wrote Sarah Plain and Tall. She always writes with clarity and grace. Her word-choices and observations help readers feel life in a special way. She notices the joys readers might otherwise miss in their own lives. 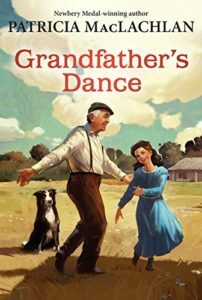 The last book in the series of five is called Grandfather’s Dance and winds up with the whole family gathering for a wedding and Cassie’s awareness that her grandfather probably won’t be alive when she is old enough to marry. It’s a beautiful expression of the stuff of family life. It’s not unrealistic; it’s just good. One reviewer commented that the story is “a little too rosy…” and that sentiment overflows in this volume. (She’s a librarian, but I hope she hasn’t forgotten what it’s like to be nine or twelve years old.) Yes, it’s warm-hearted and happy. That’s what I want for children in this age bracket. Older children and adults will also feel a glow when they finish up the series with this last book. MacLachlan’s prose is poetic and colorful. The series is great for reading aloud as a family. 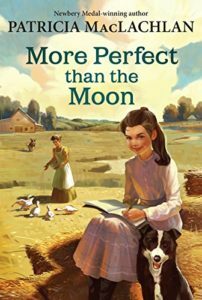 Patricia MacLachlan has a knack for crafting gentle stories about the important things in life that are pitch perfect for 9-10 year olds. At Redeemed Reader, we’ve reviewed a few other works by Patricia MacLachlan that you might enjoy reading: check out White Fur Flying, The Truth of Me, and Fly Away. We separate our middle grades books into ages 8-10 and 10-12 for just the reasons Hunt mentions above; certainly, there is overlap, but some books really do hit that sweet spot for ages 8-10. Browse through the books and posts we’ve tagged with this age group in mind! I have always admired Patricia MacLachlan for her ability to say so much in so few words. Would you recommend this series for a 7 year old girl? 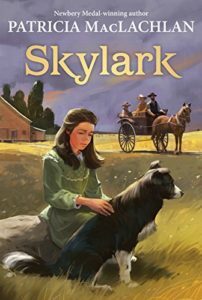 I read Sarah Plain and Tall to her and her older brother about a year ago and she liked it but am wondering about the rest in the series. Thank you!